It struck with me because it’s true. Sometimes we know deep inside that things are bound to happen, the inexplicable certainty that comes from the soul. Before Hali and I went to an almost week-long trip to this island in Indonesia, I know that Bali is going to be special. One of the things I like about Bali is that majority of the population follows Hinduism. 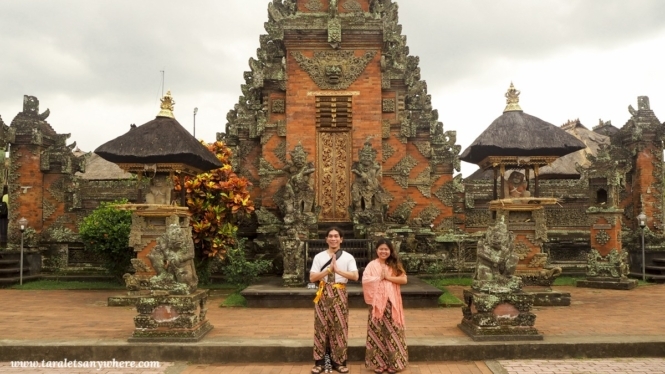 I didn’t know about this before our trip – our tour guide in Ubud, a guy named Ngakan, explained this to us when we asked about the proliferation of temples in the area. Hinduism is close to my beliefs. I was raised a Catholic, and in the Philippines those two religions dominate – Catholicism and Islam. I find that both can lean on extremities, and even other Christian religions have their own conservative views. (Hali and I were baptized in different Christian religions, and as such we can’t marry in a church). Hinduism, on the other hand, is more liberal and tolerant. It preaches universal love, unity and interconnectivity of everything and everyone. The Balinese people are kind and close to nature… You can see how the residences live with and respect it. 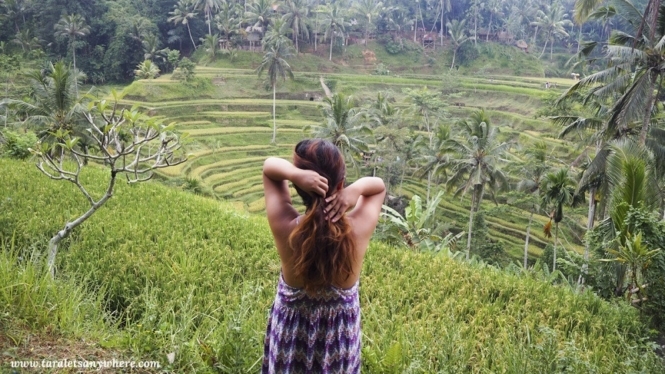 In Ubud alone, you can walk around and see farms and rice paddies, jungles and the mountains kept intact. Once a year, the Balinese celebrate their own Earth Day where all electricity is turned off and businesses are shut off to give the earth a time to rest. And of course there are the numerous temples in Bali. Ngakan explained that houses have their own mini-temples to pray or meditate at, and it’s also why you can see such intricate architecture even in common areas. With Hali in Batuan Temple. At Atuh Cliff, Nusa Penida. Other things also come to mind… The delicious Indonesian food, which has similarities with the food here in Malaysia, the hippie cafes selling fruit bowls, salads, vegetarian sandwiches and pasta… So much of the ingredients is fresh and the combinations are unique. 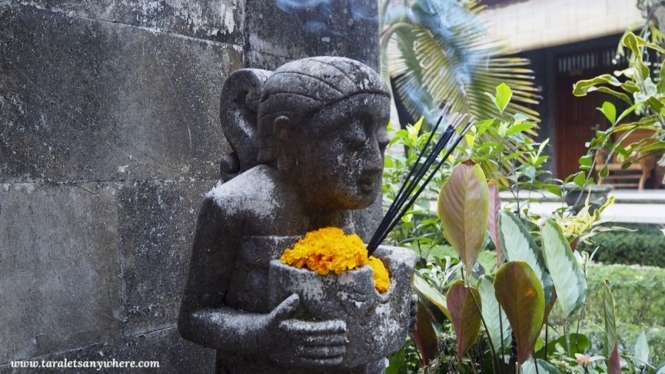 One of our favorite restaurants in Bali is Buda Bali. I remember trying out their tacos and realizing midway that the meat isn’t beef, but a sort of purple bean which is just as good. Bali takes healthy cuisine at another level. 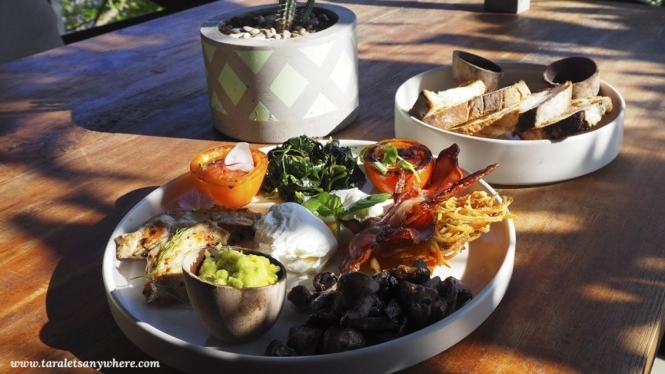 A plate of healthy breakfast in Shelter, Seminyak. 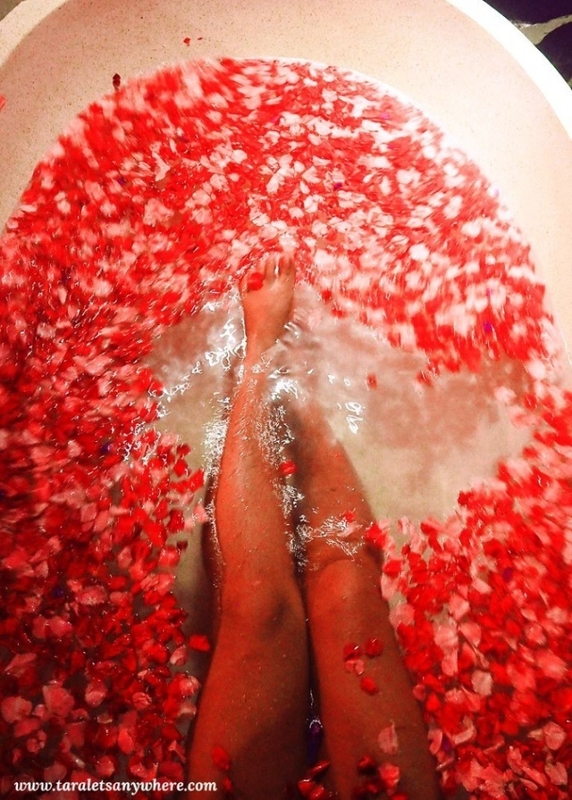 There’s also the aroma coming from spa and retreat centers, as well as flowers included in the offerings in front of homes and businesses… Unique clothes, bohemian prints and the lovingly handmade batik that can be found in sarong or skirts, shirts and other items. All these things speak to me. It seems I can live here and, for a change, not have to explain myself to anyone. Why I meditate, why I take the extra steps for self-care, why I lean towards bohemian style (I believe I was a gypsy in a past life) and nutritious, vegetarian food that nourishes both body and spirit. 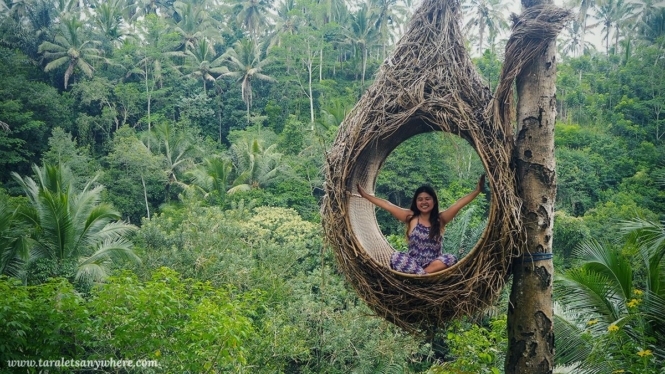 Maybe I am just seeing the tourist side of things, but I believe there is something innately beautiful about Bali that makes it attractive to a lot of people from all over. They say that you have to come to Bali for the culture, but to me it seems so much more. For some of us, we come here and find ourselves too.